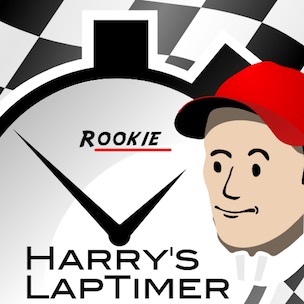 LapTimer is available in three editions named Rookie, Petrolhead, and GrandPrix. Editions define the set of functionality provided, and address different requirement levels. On the stores, you will see the three editions as seperate apps. When buying LapTimer, you select kind of an "entry point". In case you want to upgrade later, you can load upgrades available from within the app: follow LapTimer ‣ Administration ‣ Add-ons and you will find the upgrades available right in the top. E.g. if buying LapTimer Petrolhead Edition initially, you can upgrade to the LapTimer GrandPrix Edition feature set later. To help to find your personal entry point, here are the editions in short. 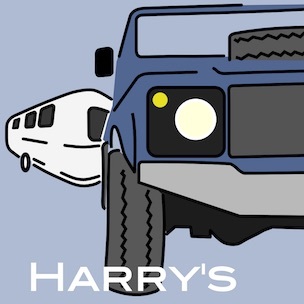 For iOS, we add our free technology demo Harry's GPS/OBD Buddy to the list. 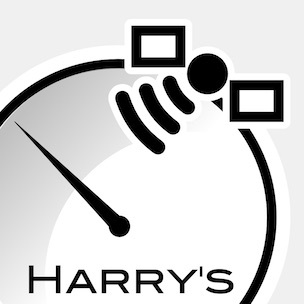 Buddy is based on Harry's LapTimer and can be used to get an impression of our line of apps. NB: Buddy is no lap timing software! All you need to start racing! 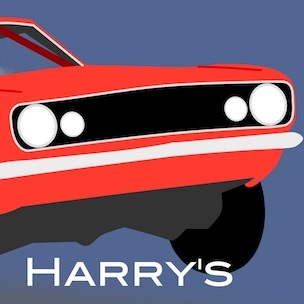 For the petrol heads out there! Available in selected markets only! users who want to test functionality before buying a full edition. In case you visit tracks regularly, Petrolhead is recommended! Best LapTimer you can think of! Prices shown are the current prices for the U.S. AppStore. They may vary for your country depending on exchange rates, VAT, and other taxes. As far as possible, we set the same prices for apps and in app purchases for iOS and Android. Just like we offer edition upgrades to match growing requirements of our users, we want to support platform movers. In case you have one edition for iOS or Android already, we offer a 30% refund on Android or iOS purchases up to that edition. To receive that refund, please send both store receipts (Apple and Google) plus a PayPal account we can transfer the refund to. Please understand we cannot transfer licenses cross app eco system. 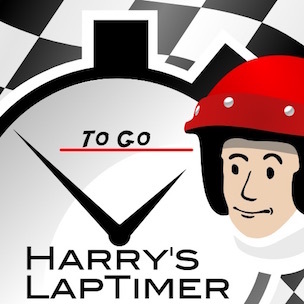 All LapTimer editions are available on Apple's AppStore for iOS and on PlayStore for Android. We support the major stores only. It is not possible to distribute our apps through other channels. LapTimer is probably the app with the most free updates seen in the app universe. We are committed to continuously add features and make each app version even more enjoyable. Although we have added new editions on top of our portfolio in the past (and will probably do again), you will never be asked to pay again for functionality you purchased in the past. Please support this strategy by recommending us to your friends! Our apps are complete niche compared to main stream apps showing up on the store's top lists. So word of mouth is extremely important and will help us to provide you with great stuff regularly. Thanks a lot! Please use Apple's and Google's refund request systems first. Instructions are available for iOS and for Android. In case the request is rejected, or there is another problem, please go through the steps listed below. This extended policy is valid up to 4 weeks after purchase. 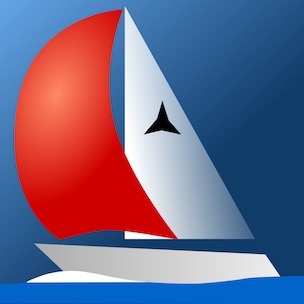 LapTimer v19.0.15 Android and later are tested to work with Blackberry OS versions 10.3.x and above. Device types tested successfully are the Z10, the Z30 and the Passport. There are actually two smaller limitations compared to a native Android system: you will get an alert Google Play Services are not supported for your device, and you will have no access to Google Maps from within the app. Instead, the Map view is hidden for Blackberry devices. Google requires a certification of Android implementations to allow access to Google Play Services - and Blackberry has obviously not completed their homework here. The path to get a licensed LapTimer APK for your Blackberry is to purchase it on PlayStore first. In case you haven't, install Snap on your Blackberry next. Instructions how to do this can be found e.g. on BlackBerry Central. Download the licensed APK using Snap afterwards. Please do not install LapTimer APKs from any source other than PlayStore. They are likely crippled and LapTimer has some nasty "protection" mechanisms built in too. We love to support as many platforms as possible, but need to balance overall benefit against capacity available. Porting a huge piece of software like LapTimer requires considerable time and cost for a new platform port (Android took more than one "man year"). On top of this, every platform requires continuous maintenance. Every hour we spend on a new platform, is not available to serve our existing user base and to provide new features for LapTimer. In general, we will tie new platform decisions to platform marketshare (20% and above). Deviations are considered for "the next big thing" innovations only. So thanks for your understanding we can not support Windows Mobile currently. 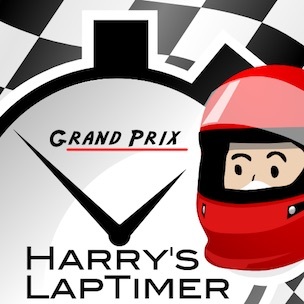 Yes, besides branded versions of LapTimer we do not list here (like OMP Racing Suite and MICHELIN Lap Timer), we have more to offer! All of our apps share a common code base an benefit from each other. For the real performance guys! A new star is born, everything a camper needs! Get insights in driving and dynamics in real time! Copyright © 2006-2015, Harald Schlangmann. All rights reserved.